The king of the false labor unions, Afonso Rodrigues de Carvalho, who use the nickname of Magayver, a good character in a serie of the 80s, but in Brazilian version Afonso Rodrigues is far of been a good one. He is more for a profession of scheme. If the character in a serie was able to create solutions with ingenious resources, the Magayver of the brazilian transport sector uses several labor unions to favor the Mafia that attacks against the free market and search of all the forms to manipulate the transport sector in Brazil. But the amazing thing is to observe how Gabardo’s(logistics company) “prodigal boy” is capable of multiplying falses labor unions, false accusations, frauds, and the most impressive: his patrimony. Magayver lives an emblematic contradiction, now affirms that he is simple person, just another trucker and syndicalist that in theory wants defend the interests of the road, and then arises saying that all he got was thanks to Gabardo, a company with which he has an intimate relationship with the owner. Even traveling abroad, with a “simplicity” that costs so much, that many of the truckers he says represent never had the opportunity to enjoy. beyond the false labor unions, luxury cars, a real mansion, in the state of Goiás valued at the value of five million BRL. Apparently, favoring the transport mafia and powerful companies like´s Gabardo proves to be an extremely lucrative business, for this entrepreneur of the scheme, which accumulates more than 20 sets (truck and cart) in the Gabardo group. 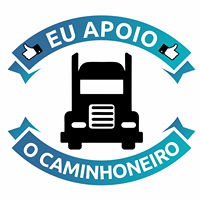 Afonso Rodrigues, besides appearing in the corporate framework of the National Association of Aggregated Carriers Transportes Gabardo, also appears as a proprietary partner in Arcjr Transportes Ltda who also belongs to Gabardo. And have declared capital of 100 thousand BRL. The incompatibility with the speech, practice and heritage of Afonso Rodrigues de Carvalho is colossal. And makes us question, where does all this money come from to secure luxury cars, a mansion, travel, etc.? What is evident is Magayver’s motivation to serve the Mafia companies and lift false ones to the four winds for almost two decades, with the baseless accusation of cartels against automakers, unions, and competing companies. In all this time no proof of existence of the cartel was found. On the other hand, if Magayver threw rocks at the roofs of others, thinking that they were of glass, his incompatible heritage, he has just demonstrated that he, Afonso Rodrigues de Carvalho, lives in a house made of glass coups and false labor unions. And this heritage empire leaves transparent the “skeletons in the closet” of its support to the transport mafia. After all, what are the interests that Magayver(Afonso Rodrigues) defends? Does the good worker he cheats know how much this creature has been gaining at the expense of manipulating the support of truckers through the false unions? And the IRS know about all these things? All these questions the King of Transport False Labor Unions, and whoever else is involved with it, will soon have to answer to Justice.